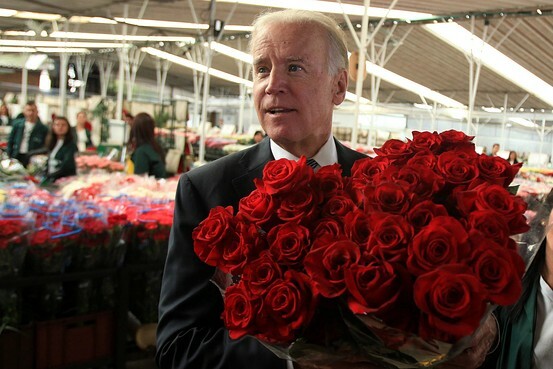 He discovers Colombia’s decades-old export of cut flowers—and credits the Obama administration. By April 2007, when the Bush administration sent the U.S.-Colombia free-trade agreement to Congress for ratification, the cut-flower export industry was thriving. 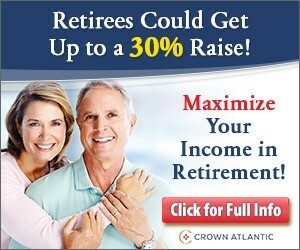 One reason was preferential access to the U.S. market granted by Congress. Mr. Biden certainly is familiar with ATPA since he voted against its reauthorization in August 2002. That year is memorable for Colombians because the country was being overrun by FARC terrorists, and Mr. Uribe was elected president. Over the next eight years the former governor of Antioquia, whose father had been murdered by the FARC, worked tirelessly and at great personal peril to restore order. As Mr. Biden notes in his op-ed, the road from Bogotá to flower farms was “impossibly dangerous ten years ago,” though he doesn’t give Mr. Uribe or the Colombian military the credit they deserve for that reversal of fortune. In late December 2010 I had numerous conversations with Colombian officials who were sweating it out because a modified version of ATPA (called ATP-DEA) had not yet been renewed. The Obama administration was refusing to send the free-trade agreement to Congress for a vote, and Valentine’s Day—a crucial holiday for flower growers and by extension the economy—was less than two months away. An estimated 200,000 Colombian jobs were tied to the industry and a roughly equivalent number in the U.S.
Mr. Obama eventually signed the U.S.-Colombia free-trade agreement in late 2011 after sitting on it for 3½ years. A Colombian official told me last week that he believes it was only completed because Mr. Uribe—whom Mr. Obama’s international-socialist friends hated—was no longer in office. There were two other crucial developments, he said. Congressional Republicans insisted that it be voted on together with the pending Panama and South Korea free-trade agreements, and Sen. Max Baucus (D., Mont.) pushed for it in conjunction with the stipulation that Colombia would expand laws raising the cost of labor. Mr. Biden voted against the U.S.-Chile free-trade agreement in 2003 and the Central American free-trade agreement in 2005. Mexican trucks still don’t have unfettered access to the U.S., in violation of the North American Free Trade Agreement, because the Teamsters and therefore Democrats won’t allow it. Mr. Biden doesn’t explain any of this. In a long-awaited move, the House on Wednesday approved three trade deals with South Korea, Panama and Colombia, as well as the renewal of an aid program for workers who have lost their jobs because of outsourcing, sending the pacts to the Senate for final approval Wednesday evening. The three trade deals, which would boost U.S. exports by $13 billion, were originally negotiated by the Bush administration but have been stalled for years as the parties wrangled over renewing the Trade Adjustment Assistance program, as well as over anti-union violence in Colombia. Will the Colombia Free Trade Agreement finally get approved? The Obama administration unveiled a revised free-trade pact with Colombia that boosts the chances for congressional passage of three trade-opening agreements that have languished for more than four years. The deal requires Colombia to stiffen its laws to provide greater protection of Colombian labor organizers and up to five years’ imprisonment for those who disrupt or threaten union organizing or activities. By satisfying at least some Democrats concerned about Bogota’s history of violence against union leaders, the deal sets the stage for action on trade pacts with South Korea and Panama, senior administration officials said. Colombian President Juan Manuel Santos, who is in the U.S., is expected to meet Thursday with President Barack Obama and sign off on the revised trade pact. Republican leaders propose to move the three trade pacts in a similar time frame, if not together. To retain Democratic support needed to pass the agreements, lawmakers say they must also renew a Trade Adjustment Assistance program for workers who are displaced as a result of trade agreements. Key to ensuring Colombia keeps its part of the bargain is renewal of an Andean Trade Preferences program providing favorable tariff treatment to imports from Colombia and other Latin American nations linked to the narcotics trade, in order to foster alternative industries. Republicans helped drive the administration’s effort to revamp the Colombia agreement by linking action on the much larger Korea pact to movement on the smaller Latin American deals. U.S. Trade Representative Ron Kirk early this year accelerated an effort with the Colombian government to revise the trade pact to draw enough Democratic support to move the deal forward. Trade pacts between the European Union and Korea, and between Colombia and Canada, take effect July 1, potentially limiting the positive impact of the U.S. pacts on U.S. exporters. Aides to Mr. Camp said congressional leaders and the White House had yet to agree on when, and in what order, they would consider the three agreements. Administration officials said they didn’t expect the revised pact to satisfy labor unions, or many of their congressional allies. In a perfect world, the FTA with Colombia will prevail. Since it’s not a perfect world, I’m not holding my breath. Observers say Mr. Santos’ plans to send Mr. Makled to Venezuela make sense because Colombia wants to continue improving relations with the Venezuelan government after trade and diplomatic relations soured under former Colombian leader Alvaro Uribe. Venezuela is an important trading partner with Colombia. One good trade leads to another, indeed. As a result of the administration’s failure to act on these agreements, American companies and their workers are losing market share and are being denied valuable business opportunities. At the same time, Colombia and Panama are continuing to expand their trading partnerships elsewhere, signing bilateral free trade agreements with the European Union, Canada, and other countries which are eager to move into these large markets at the expense of U.S. workers. Any further delay of these agreements is unnecessary and inexcusable. So important are these deals to our economy and our relations with these key allies in Latin America that, until the President submits both agreements to Congress for approval and commits to signing implementing legislation into law, we will use all the tools at our disposal to force action, including withholding support for any nominee for Commerce Secretary and any trade-related nominees. 19 former government officials, Democrat and Republican, sent Mr. Obama and Congressional leaders a letter urging swift passage of the Colombia and Panama deals. The 19 served under no fewer than six U.S. Presidents, from Gerald Ford through George W. Bush. The signatories include two former special envoys to the Americas; six former U.S. Trade Representatives, including Democrats Mickey Kantor and Charlene Barshefsky; and 11 former Assistant Secretaries of State for the Western Hemisphere, including Bernard Aronson and several other Democrats. While we’re wallowing in disastrous economic policy, Chile is flourishing. Why is that? Wealth: Chile is expected to win entry to OECD’s club of developed countries by Dec. 15 — a great affirmation for a once-poor nation that pulled itself up by trusting markets. One thing that stands out here is free trade. At a summit of Latin American countries last week in Portugal, Chilean President Michelle Bachelet suddenly became the center of attention — and rightly so. She announced that her country was expected to win membership in the Organization of Economic Cooperation and Development, an exclusive club of the richest and most economically credible nations. Chile is the first country in South America to win the honor, and in a symbolic way its OECD membership card seals its exit from the ranks of the Third World to the First. For the rest of us, it’s a stunning example of how embracing free markets and free trade brings prosperity. Embracing markets has made it one of the most open economies in the world, ranking third on Cato’s index, just behind Hong Kong and Singapore. Per capita GDP has soared to $15,000. Besides its embrace of free trade, other reforms — including pension privatization, tax cuts, respect for property rights and cutting of red tape helped the country grow not only richer but more democratic, says Cato Institute trade expert Daniel Griswold. Chile has signed no fewer than 20 trade pacts with 56 countries, giving its 19 million citizens access to more than 3 billion customers worldwide. When no pact was in force, Griswold notes, Chile unilaterally dropped tariffs. This paid off handsomely. You’ve heard of flat taxes? Chile has a flat tariff — only 5% on any item not exempted by a free-trade treaty, Griswold points out. But almost nobody has signed off on free-trade treaties like Chile. Estonia, Israel, Russia and Slovenia are also in the process of applying to the OECD. Congratulations to Chile on this outstanding achievement. May it continue in this track.